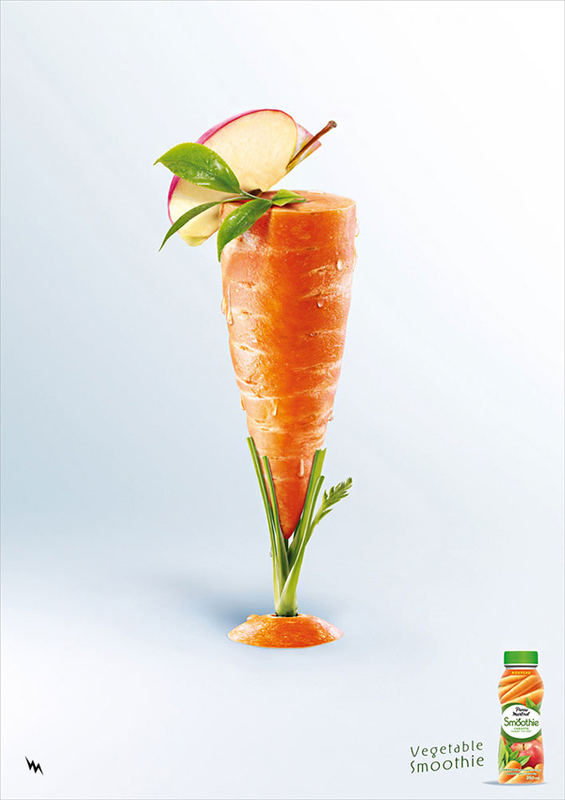 Check this great example of creative advertising posters. 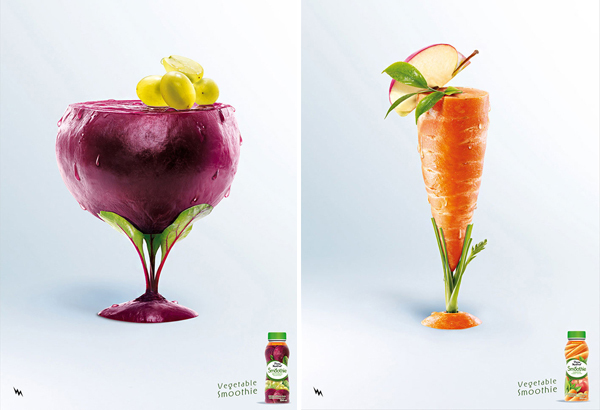 Each image in this collection shows vegetable cocktails from Pierre Martinet. 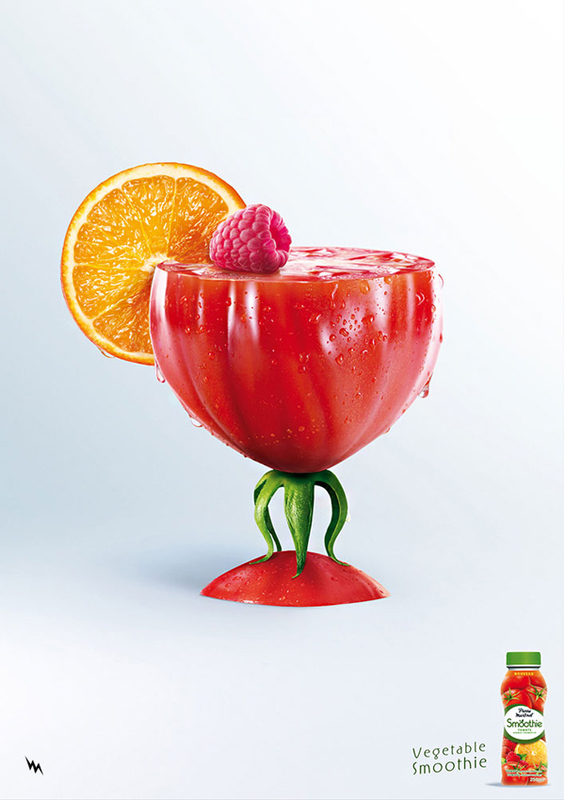 The Pierre Martinet Smoothie campaign was created by BEING TBWA, an ad agency based in Paris, France. 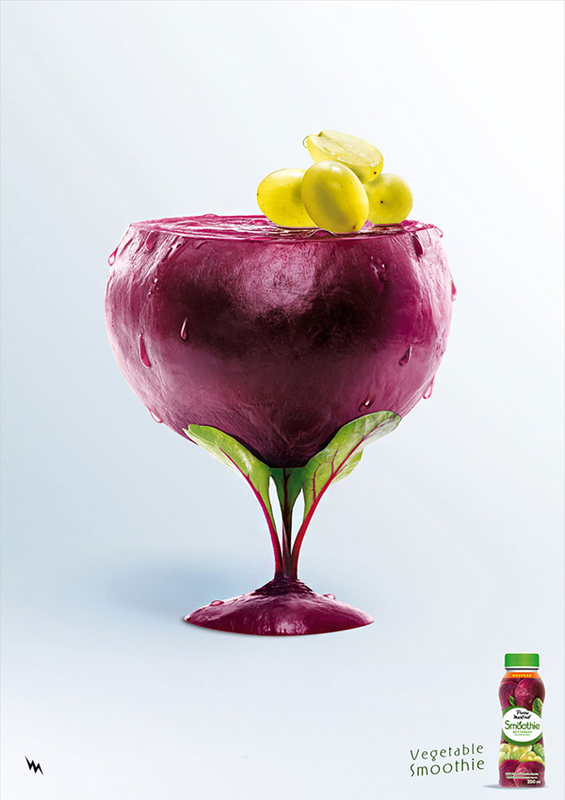 It features colorful goblets made out of the veggies each smoothie consists of. For instance, one is made out of an egg plant while another from a carrot. It was art directed by Jean-Pierre Roges.